Cosplay Winner: $50 Gift Certificate to Cosworx! Gaming Tournament Prizes: $20 EB Games Gift Certificates! 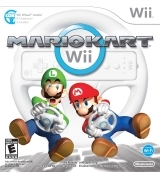 Grand Raffle Prize: Mario Kart Wii! Be prepared for a day packed full of awesome events! 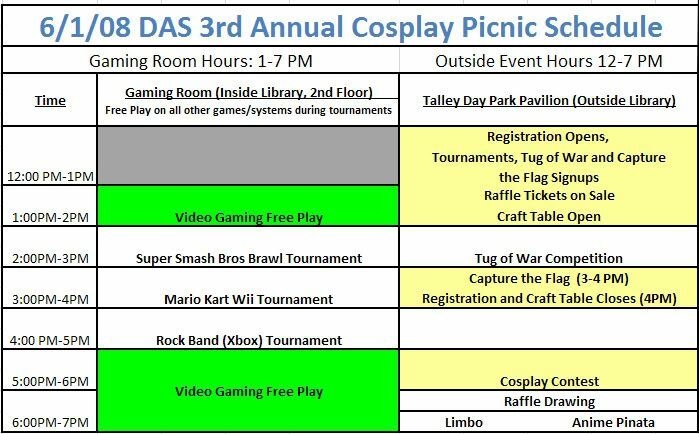 We've got fun games, creative cosplay, a fresh BBQ, and more in the great outdoors...AND some scrumptious video gaming and tourneys in the library next door. The sky's not even CLOSE to the limit at the DAS Cosplay Picnic! More finalized info plus prize info!! 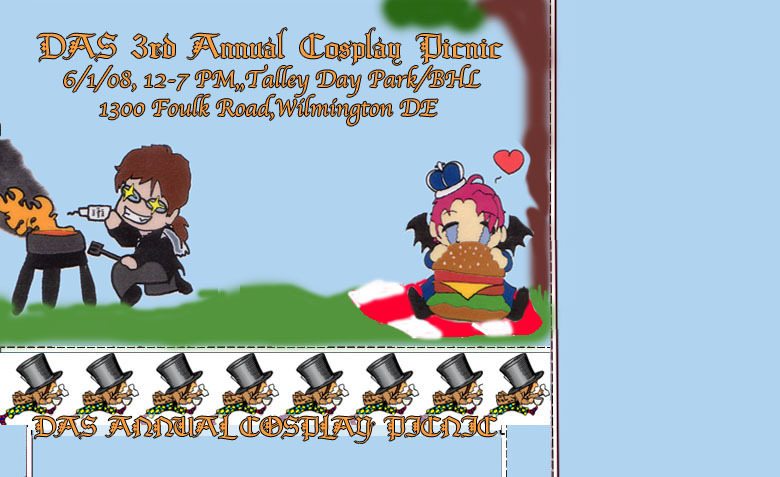 First info for 2007's event going up! The site is live! Check here often for updates on the DAS Anime Faire. Or check out a DAS Chapter closest to you. We've got cool things going on throughout the year!